Why not charter one of our barges in the Highlands? It is a wonderful way to discover this beautiful part of Scotland. By chartering one of our comfortable barges, each with 6 twin ensuite cabins you decide exactly what activities you do; canoeing, walking, cycling, or a mixture of activities on a 7-day journey through the Great Glen and you save money! 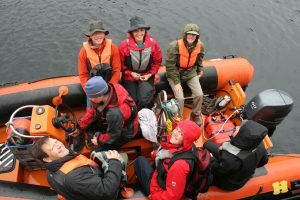 Leaving from either Inverness or Fort William, travel along the Caledonian canal and the lochs Ness, Oich and Laggan and through gentle activities with qualified instructors, and fantastic food, created daily by the live aboard chef, come and have some fun in the Great Glen. It is an escape you will love.